I’d like to give a huge thanks to Adriana Trigiani for making a life-long dream come true for me. Thanks to her latest, All the Stars in the Heavens, I was able to use the excuse, “Sorry, I can’t right now. I’m hanging out with Clark Gable.” And let me tell you: it felt good. All the Stars in the Heavens dives into the world of old Hollywood, bringing to life the un-put-downable tale of Loretta Young and Clark “Frankly My Dear” Gable. Beginning with Young’s early entrance into cinema as a child, the story chronicles her rise as a darling of the silver screen and her life-changing love affair with Gable on the set of Call of the Wild. In contrast to Gable and Young is the journey of Loretta’s assistant, Alda Ducci, whose new life and budding romance in Los Angeles is a stark change from the convent she just left. Combining history with fiction, it is a novel of love, friendship and secrets—and the power each one can hold. 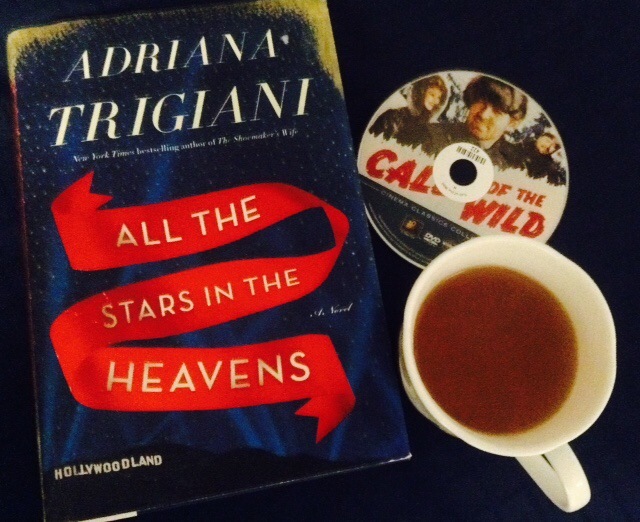 I’ve always loved Adriana Trigiani’s writing—how she blends humor, wit, and heart into every page. These characteristics are all in full bloom here, but what’s most impressive about All the Stars in the Heavens is how Trigiani takes larger than life icons like Gable, Young, Spencer Tracy and David Niven, and turns them into wholly human, realistic characters. As a lifelong Gone with the Wind fanatic, I’ve always adored Clark Gable as the king of the Golden Age of cinema. While reading this book, I forgot all of that. Trigiani perfectly captures his spirit and magnetism but also portrays him simply as a man—a flawed yet incredibly likable man. The entire time I was reading, I couldn’t wait to spend a day watching all of my favorite Gable movies, as well as any Loretta Young films I could get my hands on. (As a classic movie lover, I’m embarrassed to admit I haven’t seen many of hers.) As is always the case when I’m reading exceptional historical fiction, I was completely absorbed throughout the book, and once I was done, I found myself desperate to learn more, more, more. All the Stars in the Heavens captures the glittering, glamorous and not-so-glamorous world of old Hollywood, but you don’t have to be a movie buff to appreciate it. At its core, it’s a delicious and sprawling saga of romance and secrets—the ones we can overcome, and the ones we can’t. As for cinema fiends, this is one you can’t miss—the perfect chance to escape into the lives of motion picture legends. Just be sure to get your Netflix ready, because you will be itching to carve out time for some black and white classics.